Woot! We just finished the contract with Doe Bay and will be back there for ToorCamp 2018. We’re keeping the format similar to last time. General admission includes camping in the designated fields. Cabins, yurts, domes, or premium campsites are an additional fee. We will be releasing a booking code for those reservations through Doe Bay later in 2017. Hope to see you there! This entry was posted in News on December 17, 2016 by admin. Thanks so much to everyone who came out! We couldn’t have imagined a more wonderful location and awesome group of people to share it with. We’ll be posting more follow up information in the coming days and can’t wait to see all of your pictures and stories from camp. Make sure to tag your photos with #toorcamp2016 on whatever platform you decide to share on and post any follow up information to the google group forums! This entry was posted in News on June 15, 2016 by davidhulton. 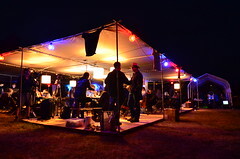 We’re pleased to invite you to the ToorCamp Stupid Hackathon. Running for 24 hours, the Stupid Hackathon presents an opportunity to create the most useless, dangerous and variously unwise things you can imagine. The Stupid Hackathon begins at 19:00 Friday with team formation and registration, and ends with project demonstrations and an award ceremony at 19:00 Saturday. Find us Friday evening at the Prime Dome to register and find group-mates (preformed groups are also welcomed). Trophies will be awarded for categories made up on the spot; Best in Show will receive venture funding. Contestants should bring their submissions to Closing Remarks in the Prime Dome at 6:30pm on Saturday, June 11th to be judged. This entry was posted in News on June 7, 2016 by davidhulton. We recommend you download and install the certs on your devices before you get to the island. 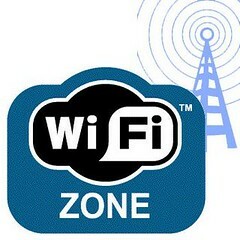 Or feel free to use the static WPA key network too. This entry was posted in News on June 6, 2016 by davidhulton. We’ve finally posted our preliminary camp map! One thing to note is that when arriving to Doe Bay, you’ll want to immediately check in at the Registration Gate located right at the entrance to the Doe Bay Resort. Please make sure to bring your printed out tickets with 2D barcodes to speed along the check-in process. After checking in at the Registration Gate and receiving your badges, if you have booked a Cabin or Premium Campsite you’ll need to proceed down to the Doe Bay Main Office and check-in with the front desk. Most Cabins and drive-in Premium Campsites will have a single dedicated parking spot that you’ll be able to use. This is our first year putting together a program for kids and we’re excited to be offering a number of workshops and a small daycare for the younger ones so their parents can catch some of the talks. If you are bringing any little ones, you must at the very least buy a free ticket for them. If they’re interested in taking part in the workshops or daycare, please also make sure tosign them up so we can have an accurate count. Workshops are now available to register for! To do so you need to buy a free ticket through universe. Some of the workshops require a small fee (listed in the description) which you can pay with cash in person at the event. To guarantee yourself a spot in the workshops, sign up today! We now have all of the talks and workshops up on Google Calendar so you can import them to your devices and keep track of what’s going on at the camp. As a ToorCamp special offer Amal Graafstra from Dangerous Things will be giving free xNT implants (NFC compliant implants) for anyone who wants one. He’ll be setup at the Yoga Studio from 11am-noon Thursday, Friday, and Saturday until he runs out of implants. 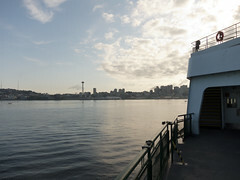 NOTE: If you don’t have a ferry reservation at this point, the last 30% of the reservation pool will be released 2 days before sailing (this coming Monday June 6th) at 7:00am. 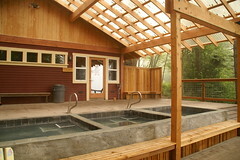 Massages at the Doe Bay Resort can be booked online or through their front desk at (360) 376-2291. In addition to Therapeutic Massage, they’ve recently expanded their spa services! 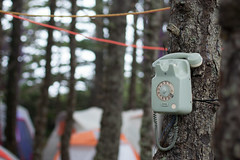 Take advantage of a special 15% off discount available for ToorCamp attendees. Discount will be applied when payment is taken. Dinner reservations are recommended at the Doe Bay Café. Please call (360) 376-8059. They are unable to accommodate group seatings of more than 8 guests. Their café is critically lauded and guests actually fly direct to Orcas just to dine with them. Much of the produce used in their kitchen is sourced directly on site from the Doe Bay Garden. They also utilize their local purveyors to provide only the freshest local, organic ingredients for the café including: Jones Family Farm, Buck Bay Shellfish and MapleRock Farm. Views from the Café encompass Otter’s Cove and the islands across Rosario Strait. Regular service hours are Thursday, 5-10pm for open mic and “pizza”; Friday-Monday brunch is served from 8am-2pm and dinner from 5-9pm. Check out their sample menu online. 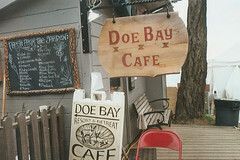 You can pre-order a delicious Doe Bay Café prepared sack lunch for Thursday, Friday, and/or Saturday, June 9th-11th. Lunches will include a sandwich or other entrée, a baked good, drink, and fruit or comparable side. 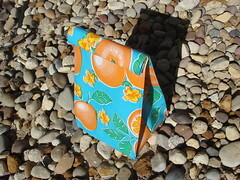 The cost per sack lunch is $12 and they can be picked up daily between 12pm and 1pm at the Doe Bay Store and Offices. Gluten-free options are available upon request. They are unable to accommodate any additional dietary restrictions. NOTE: Pre-ordered lunches will be accepted up until Sunday, June 5. If you miss this deadline, they welcome you to dine in the Doe Bay Café. Come enjoy this fun community event benefiting the SeaDoc Society. Be sure to bring musical instruments, for sharing song, as well as your favorite jokes, poems, stories and monologues to share with all. $1 for every pizza sold goes to SeaDoc. No reservations accepted. Come early to get a great seat. There will be standing room available, as well. 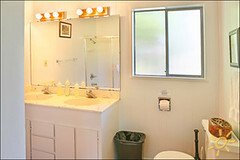 The clothing-optional soaking tubs and soaking tubs and sauna are the only clothing-optional area at the resort. They don’t recommend children under 6 in the spa area, and ask that children using the spa be potty-trained. Minors are to be in the presence of parents or guardians and use the spa during the family hours of 11am-6pm and are still clothing optional during this time. No children allowed after 6pm. This area is the only clothing optional portion of Doe Bay. No drugs, alcohol, smoking, pets or glass containers are allowed. At the entrance to the spa they have created an enclosed and private garden area for meditation and contemplation, quiet reflection, sun bathing, reading and rest. All spa users must sign in EVERY time they enter or use the spa facilities. Failure to have deposited a sign in slip may result in loss of spa access. Please respect the other guests, our staff and neighbors, by maintaining quiet hours between 10pm and 8am. Doe Bay does not allow open flames of any kind on the property other than the community fire ring, the barbecue pit by the Guest Kitchen, the approved fire pits supplied by ToorCamp, and propane cook stoves. NO campfires, candles or incense are allowed at the cabins or campsites. There are fire extinguishers located on the outside of each cabin. In the summer, if there is no burn ban in effect on the island, a fire may be built in our fire pit (supply your own firewood), keeping in mind quiet hours, 10pm-8am. We discourage bringing pets to ToorCamp but if you can’t live without your furry friends we ask that you register your pet. To register your pet please email david@toorcon.org. Pets are only allowed in certain cabins, cost an additional pet fee, and must be arranged in advance, kept on-leash, and scooped up after. Please see ToorCamp’s Dog Policies for more information. If hosting your pet results in damage or the need for excessive cleaning in your cabin, you may be charged additional fees. 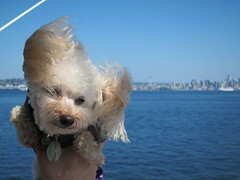 As a comparable alternative, there is a kennel service on the island. Only one pet per group. This entry was posted in News on June 2, 2016 by davidhulton. 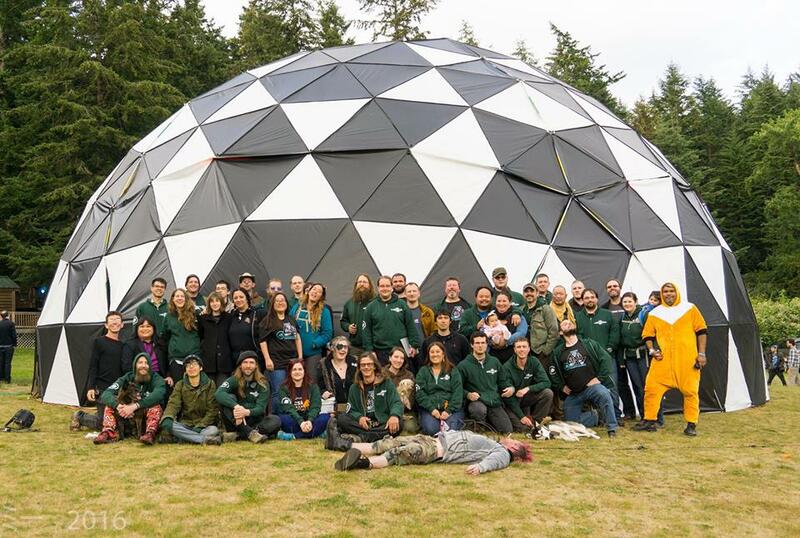 We’re proud to announce that ToorCamp Kids is a go! Thanks to Joe Grand and Joe Fitzpatrick we have some great workshops lined up for your little ones during the camp. 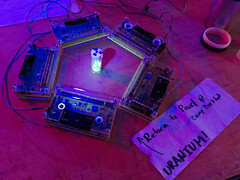 Check out the schedule at the ToorCamp Kids page. Also, don’t forget to make sure your kids are signed up so we can get an accurate count for daycare and the other activities. This entry was posted in News on May 15, 2016 by davidhulton. 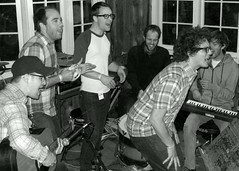 We’ve got our full lineup posted on the website now. We’re still waiting to hear back from all of the speakers, so the scheduling is still subject to change. Can’t wait to see you all there in just a few weeks! 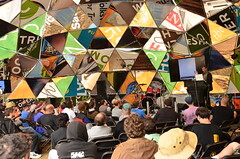 The first round of the CFP just closed last week and so we’re proud to be announcing our first selection of talks and workshops for ToorCamp 2016. 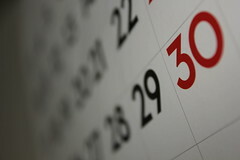 We’ll be posting detailed information and schedule details in the next couple weeks. Until then, check out what we have in store for you so far this year at the talks page! This entry was posted in News on April 6, 2016 by davidhulton. 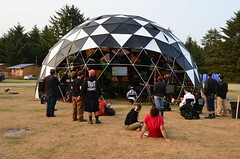 For those interested in booking a cabin, yurt, dome, or premium campsite from the Doe Bay Resort to use at ToorCamp, we’ll be sending the booking code to all registered attendees this Monday, January 18th at 10am PST to be used with http://doebay.com or by calling their reservation line at 360-376-2291. All non-campsite bookings (cabins, yurts, domes) can be reserved with a 20% discount off of the standard seasonal rate and campsites can be booked at a 40% discount. All 4 nights of the camp must be reserved when booking and those wishing to leave later than the 11am check-out time on Sunday must book an additional night. REMINDER: If you’re driving to camp, make sure to also book your ferry reservation! The ferries heading to Orcas Island fill up fast so don’t get stuck without a way to the island. This entry was posted in News on January 14, 2016 by davidhulton.